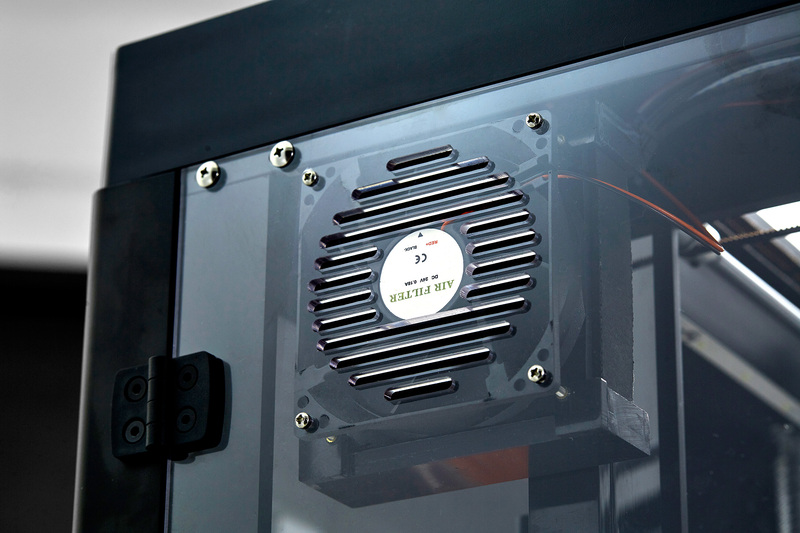 Raise3D stands for development of high-quality, reliable and affordable 3D printers. 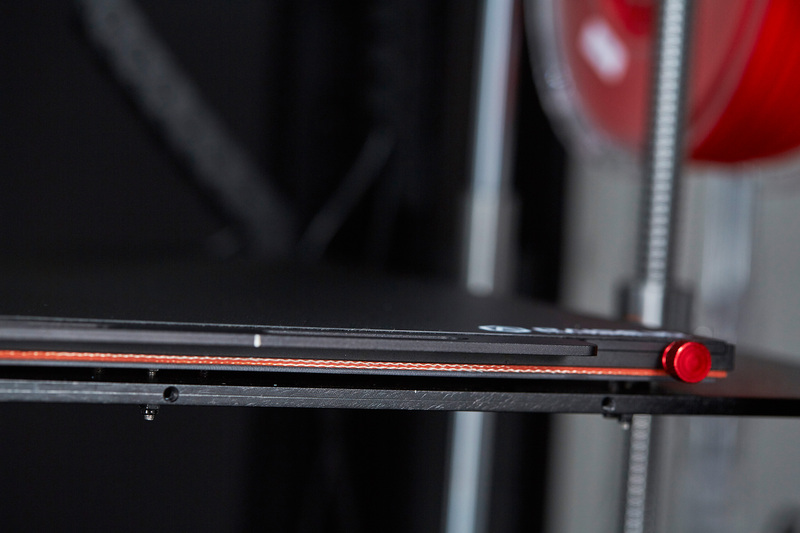 Realize large components in convincing quality with the Raise3D Pro2 Plus Dual Extruder 3D printer – ideal for prototyping and small-scale production. Enter now into professional Additive Manufacturing. 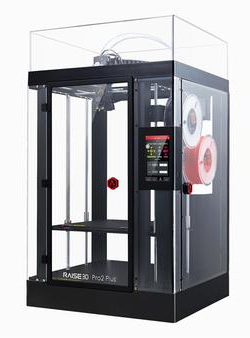 Raise3D stands for development of high-quality, reliable and affordable 3D printers. Realize components in convincing quality with this Raise3D Pro2 Plus Dual Extruder 3D printer. Furthermore, you can use this 3D printer to produce small series and prototypes quickly and inexpensively. In contrast to the Pro2, the Plus variant offers a higher building height by 30 cm in the Z direction – now 60,5 cm high. 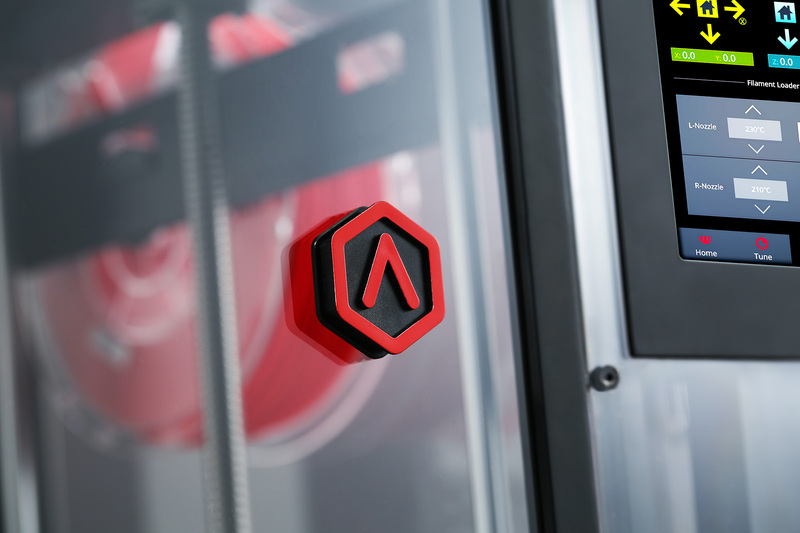 Enter now into the professional Additive Manufacturing. You will be impressed by the Raise3D Pro2 Plus. Your 3D prints are impractical, complicated and the finished parts are of inferior quality? That was yesterday. The Raise3D Pro2 Plus convinces with many smart functions. There are currently very few 3D printers on the market that combine all the crucial functions in one device. And if so, then these devices are many times more expensive than the Raise3D Pro2 Plus. 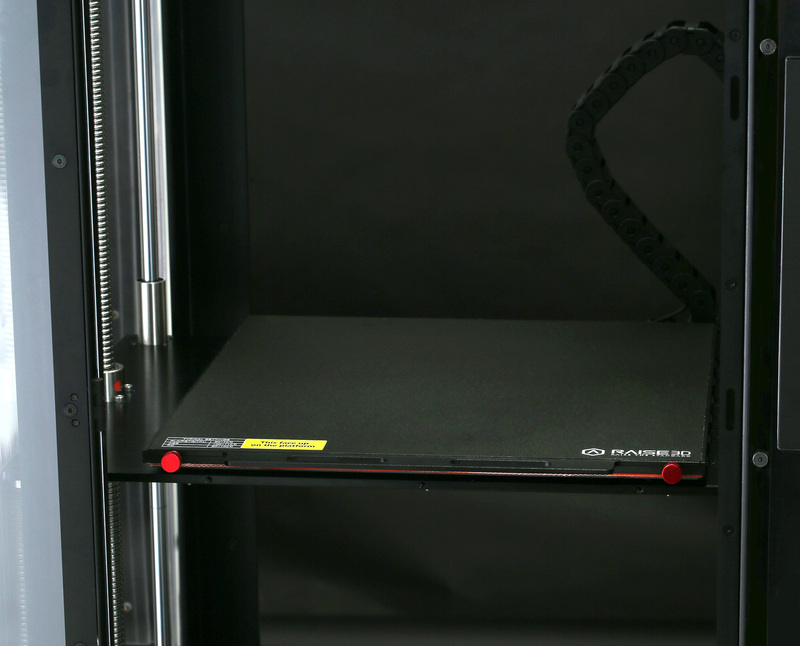 This 3D printer can be easily operated through its 7-inch color touch display. Surely you can use your smartphone? 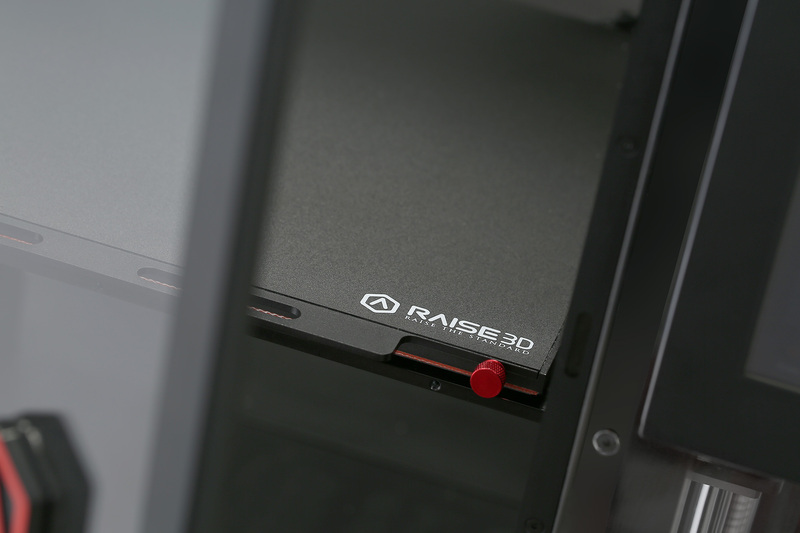 If so, you can handle the interface of the Raise3D Plus. By using the simple controls, you have your 3D printer always under control. Bring your digital masterpieces to life now. Thanks to its enormous space, you can also produce very large objects and prototypes. Your components can reach an edge length of 305 x 305 x 605 mm. On top of that, the building chamber of this 3D printer is fully enclosed. 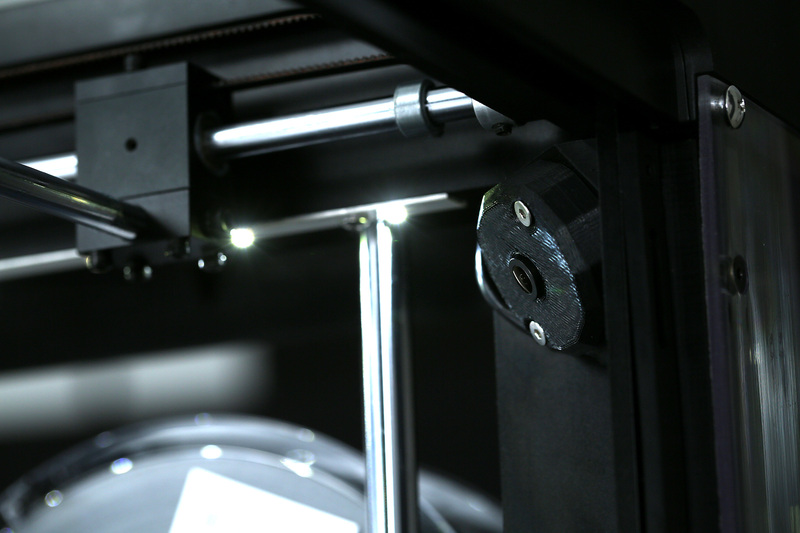 This allows you to process more sophisticated materials such as ABS, HIPS, PET-G, PLA+, PP and ASA. 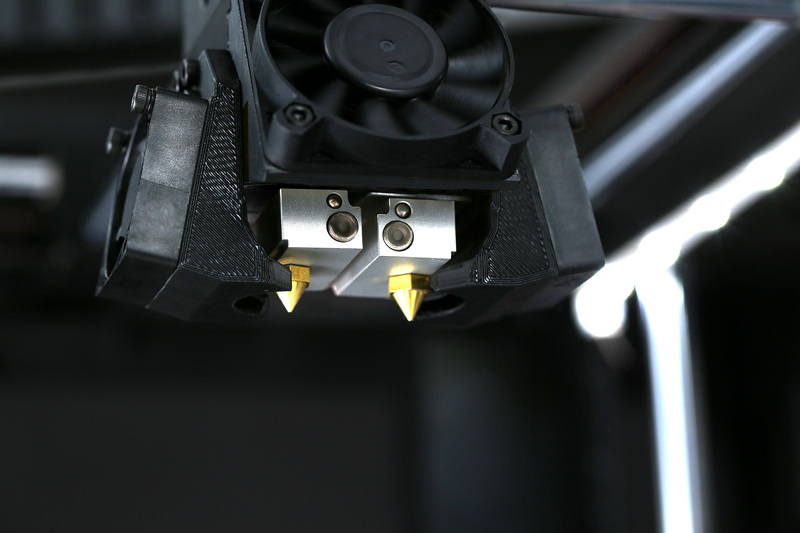 Heat the build platform up to 110 ° C and the extruder up to 300 ° C. Realize your creative ideas now. 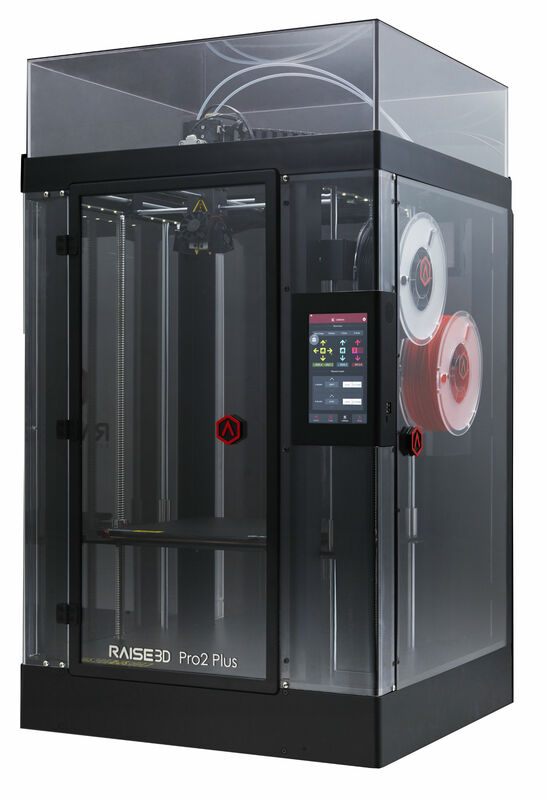 Raise3D Pro2 Plus offers an open system and can work with a variety of materials from most third-party manufacturers. The filaments only require a 1.75 mm diameter. Determine which filament from which supplier you use. Optical filament sensor - This will show you and immediately stop the 3D printer when the filament runs out. After reloading, you can simply restart working. Thanks to the dual-extruder, you can make objects from two different filaments, materials or with support material. If you process PVA or HIPS filament in the second extruder, you can realize very complex components with overhangs. Simply dissolve the support filament after the finished 3D printing and you will get a convincing result. Now the Raise3D Pro2 Plus works with a new heating bed made of silicone. This increases the adhesion of your components on the build platform. The substrate of the construction platform consists of a magnetic aluminum profile. This is equipped with an improved 4 + 9 points lock system. Clean air is important to us all. This is true even if we talk about 3D printers. With the Raise3D Pro2 Plus, the air in your environment remains clean and free of harmful substances. The integrated air filter cleans the exhaust air. Power failure - And now? With this 3D printer, you have no problem with power issues. After the power has returned, you can continue your Additive Manufacturing using the RESUME function. The built-in 1000 mA battery helps to save 3D printing progress. The 3D printer can thus be continued easily. This saves you material, costs and time that would be caused by interruptions. 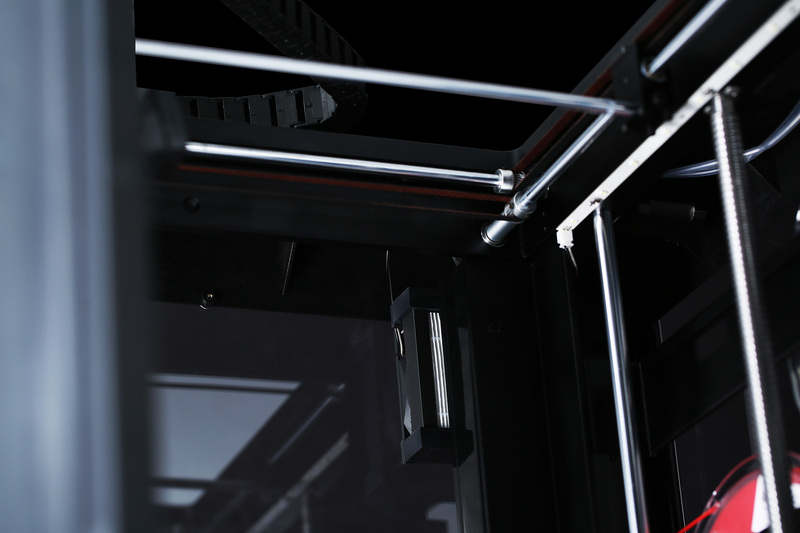 The Raise3D Pro2 Plus allows you to produce at high production speed and a superior 3D printing quality. 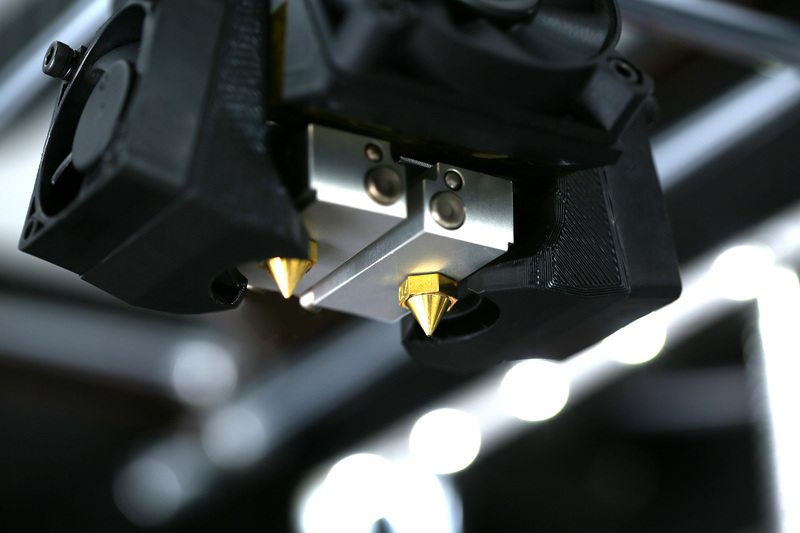 In the Z direction, very high resolution of up to 0.01 mm layer thickness can be achieved. Make fine structures and very smooth surfaces. The best way to work only with small objects with such a high resolution. Otherwise the construction time will be greatly increased. Buy the Raise3D Pro2 Plus to get an affordable extra large volume FFF / FDM dual extruder 3D printer.